• This is a summer special recipe especially for those who love mango. 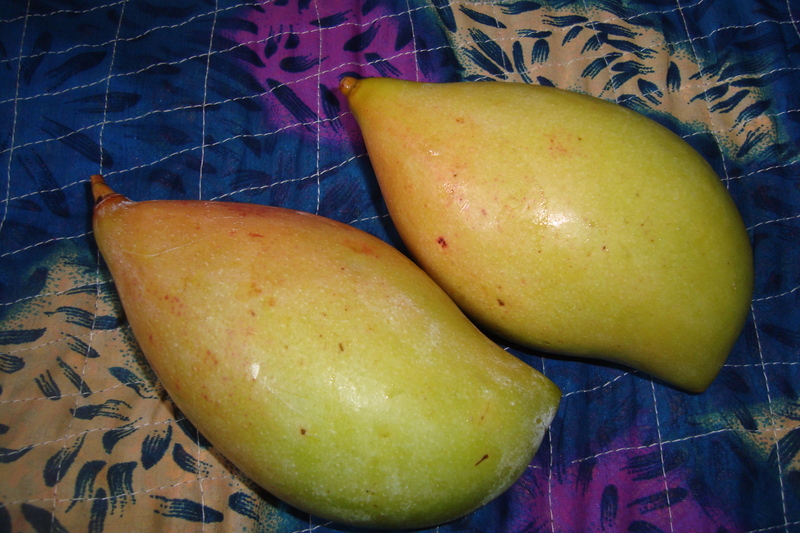 Firstly chop or grate mango after peeling off the skin. • To this add Garlic slices, half of the onions, salt, chilly powder and grind it into a rough paste. • Now heat 2 tsp of oil in a pan for seasoning and all seasoning items one after the other. • When they are done, add remaining onions and cook till they turn transparent and soft. • Finally add seasoning to the pachadi. 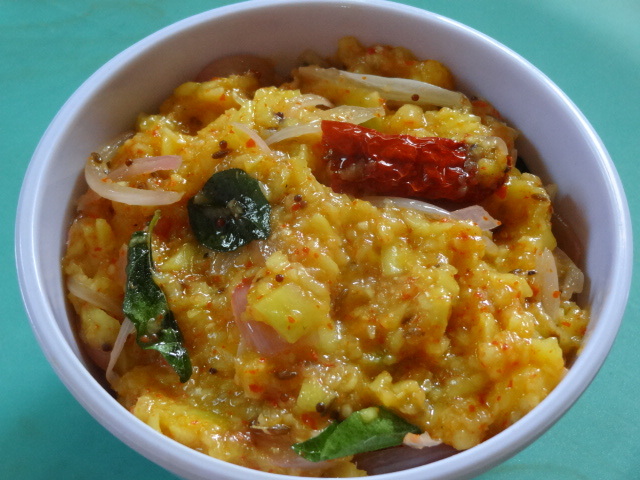 The simple and tasty Mango chutney is ready. • This goes well with rice and pappu/sambar.